From an early age Jacquie was well aware of the impact that food and nutrition can have on one’s ultimate well-being. She began having unexplained fainting spells in elementary school. Conventional medicine had little to offer, so her family looked at alternatives, learning that these fainting spells could be a symptom of hypoglycemia and controlled with a proper diet. The knowledge that food could play such a big role in physical and mental well-being lead Jacquie to study, and ultimately graduate with first class honours from the Institute of Holistic Nutrition. It was here that validated her belief that health is impacted just as much by energy and emotion as nutrition. Continuing education in Energy Medicine gave life and language to a skill she had been honing her entire life. Jacquie’s passion is to guide those around her in discovering the unique ways in which emotion or thought patterns can impact their health. Jacquie has begun training in Reiki, and has received her second degree Reiki certification. 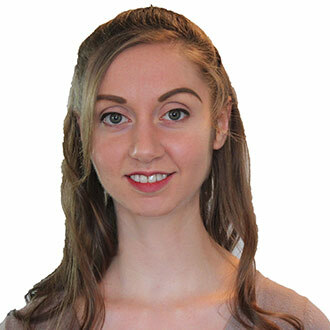 She is always looking for ways to expand her knowledge and continues to do so by working towards her Reiki Master’s certification and an Advanced Diploma in Holistic Nutrition. Jacquie works as the Assistant Store Manager at Healthoholics, where she oversees day-to-day clinic operations, assists with purchase ordering, works on our sales floor, and more. She’s a skilled Holistic Nutritionist who brings her broad knowledge to helping Healthoholics’ customers and clients.